Ginseng root has been used as a dietary supplement for millennia in Asia. In Chinese culture, American ginseng is considered to have a cooling effect of "yin," while Asian ginseng has a heating effect of "yang." It is believed that properly using both types can bring balance. Ginseng can be very expensive and is most commonly sold in a dried, sliced form that is best used for cooking in water, tea or broth. Fill a pot with water and bring to a boil. Add 2 to 3 grams of ginseng for each cup of water. Add ginger, honey, dates or herbs for flavoring. Simmer or steep tea four to five minutes until the ginseng softens. Boil for two hours, replacing water as it steams off, for very strong tea. 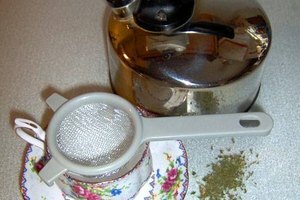 Strain the tea, preserving the ginseng. Drink one cup of ginseng tea a day. Reuse ginseng two to three times before discarding or eating it. Wash a whole ginseng root. Pour a small amount of water into a pot. Place the ginseng inside the pot. 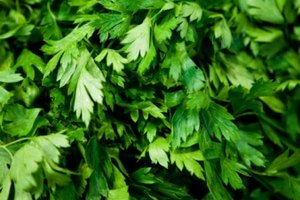 Steam or blanch slightly until the root is warm and slightly soft but not cooked through. Cut ginseng to fit into a bottle of honey, vodka or rice wine. Slice the ginseng into chunks to increase the infusion's potency if you have a very small root. Insert the root into a bottle, close it and leave it to steep five to six weeks. Shake daily to create infusion. Store in a cool, dark place. Consume judiciously. Add ginseng to any soup. Simmer about two hours for fresh ginseng, less time for dried slices. Mash fresh root when the ginseng is soft. Add it to the broth or remove it and eat separately. 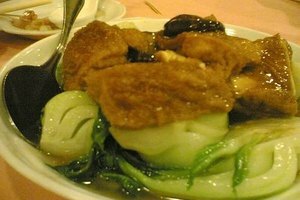 Dried slices can remain and be eaten with the soup. Add seasonings to fresh root, slice thinly and soak overnight. Put the ginseng in salads and side dishes. 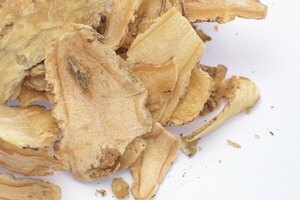 Add fresh ginseng slices to dishes to add a bitter, spicy flavor. Stir fry ginseng with vegetables, cook with rice or add to stuffing mixes. When choosing fresh ginseng, select a light-colored, firm, blemish-free root. Store fresh roots no longer than 10 days in a refrigerator.